"Who Else Wants A Confident Child That Is Healthy, Happy & Confident, With Strong Leadership Skills? Parma OH, Martial Arts Instructor Discovers The Secret To Motivating Your Child and Making Them Unstoppable. Deep down inside we all want your kids to feel safe and secure while also gaining confidence in how their bodies look and feel. 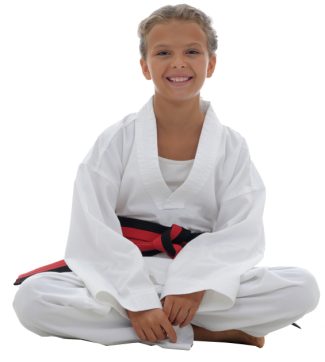 Kids Martial Arts and Karate in Parma Ohio emphasizes instinctive and real life self defense while focusing on raising their confidence, self-esteem and leadership skills. Teachers and Parents are reporting IMPROVED Focus, Discipline, and Grades from our "Karate" kids! "Love that the instructors focus on all the kids and the Leaderships Skill of the week. Tyler's grades have gone up and he is taking on projects on his own." - Janice Taylor - Mother of Jonathan. "My son is learning self control while getting a lot of exercise. He now keeps his hands to himself and he loves coming to class. I really like the mat chats where you encourage the students to be leaders and not followers. My son takes that to heart." - Mary Brown - Mother of Tyler. "​My daughter is very shy and has a hard time meeting friends. Since joining Adventure she has stepped out of her shell and is now using her voice confidently. She has met several great friends at your studio. Thank you." - Danielle - Mother of Tabby. You'll be taken to a page where you'll see our kids class schedule and our web only special. You can instantly schedule your first class right online or one of friendly staff members will give you a call (usually within 24 hours) and schedule a time for you and your child to come on by for your first class. Parents are looking for a fantastic program that teaches Martial Arts, Character Building, Leadership Skills and most importantly... having it all set in a structured environment with positive kids. They will love it here at Adventure. What are the age groups for your martial arts classes? Our classes are Age Specific classes. This means if your child is 4,5 or 6 they will be with 4,5 and 6 year olds. If your child is 11... they will be with 11 year olds. The fact is, kids learn best in class rooms in their own peer group. Plus they meet the most positive kids around. Safety is our #1 concern. In fact, we are the only martial arts facility with state of the art spring loaded safety mats. Plus our safety gear, step-by-step instruction AND... our certified instructors ensure your child's safety. Is martial arts just for boys? Or can my daughter try it too? There are lots of girls in our classes. Girls love it just as much as boys. They love the jump kicking, and being on our demo team where they learn back handsprings, cartwheels and round-offs. And let's be honest... girls are just as tough as boys... many are even tougher..
After just one class you will see your child begging to come to class. It's something that is so fascinating about our martial arts classes. We know many of our parents use martial arts as an incentive to get their children to do their chores and homework. Absolutely not! We don't teach how to kick and punch so they can beat kids up at school. We teach kids self-defense as a method for personal development and life skills. They learn respect for others and themselves. Many times, kids who were violent before martial arts became non-violent. So no, our martial arts program will not make your child violent. Sessions are filling up fast. Our life changing classes are well known and your neighbors are rushing to reserve their child's spot! See you in class.